A male student asks a female student to be his date to the Valentine's Ball. The ball took place on February 8th, 1957 in Spafford Gym, and entertainment was provided by the Harry Eisele Orchestra. The cost for couples to attend was $1.50. 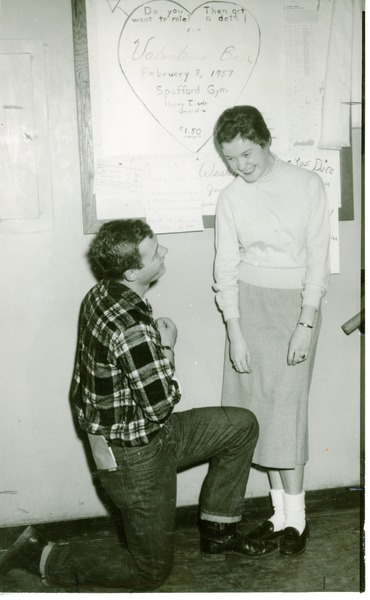 “Man Asking Woman to the Valentine's Ball, 1957,” Beulah Williams Library Archives, accessed April 21, 2019, http://nsudigital.org/items/show/1500.